How I'm Going to Take 2 Months off in 2018 - CreatingBeautifully.com - start and grow an online business you love! How I'm Going to Take 2 Months off in 2018 - CreatingBeautifully.com - start and grow an online business you love! And while I don’t have everything planned out yet, I have a good idea of what I’m doing for the first six months of 2018, and that feels great! I also decided that next year I will take 4 weeks off (throughout the year, one week at a time) and the entire month of December. The first way I’m Going to Take 2 Months off in 2018 is by selling my art and other products passively. “Although this class is incredibly short in duration, it is equally incredible in it’s ability to step by step guide you to do precisely as the title implies. Very well done. 🙂​” James L.
“I was looking for an easy creative business idea and this class delivered!​” – Rene H.
“A helpful quick class on how to create artwork and product mock-ups with Canva without any design knowledge. Plus, learn how integrate your new Etsy shop with Printful. Straightforward instruction takes the pain and guesswork out of the process. Thank you for this class!​” – Caroline M.
“This course is more beyond exceptional for the amount of time required compared to the value gained from watching. I recommend this course to absolutely everyone. Looking forward to the next one!​” – Khaled W.
“High energy, lots of enthusiasm and leaves you wondering why you did not think of it!! This has been the answer to my prayers today.​” – Donna T.
That last one really got to me! 🙏​ And there are many, many more! In fact, you can watch any of Skillshare’s 17,000 classes during that free trail, too! (Oh, and just to let you in on a little “secret”: Skillshare will not be offering a free trial, starting in January. So now is the time to give it a try, if you’ve been on the fence about it.) I kind of think of it as the Netflix of online learning! I’m always taking classes there. The second way I’m going to Take 2 Months off in 2018 is through affiliate marketing. As you can see, I’ve taught a couple of Skillshare classes on affiliate marketing. But this Fall I was able to take “Making Sense of Affiliate Marketing: How to build a six figure blog without millions of visitors or selling your soul.​” And I have to tell you: it was a real game changer for me! I thought I knew… well, maybe not everything about affiliate marketing, but a lot! 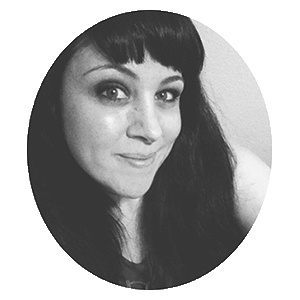 If you’re not familiar with her, the author of Making Sense of Affiliate Marketing​ makes over $100k per month with her blog, and almost $50k of that is from affiliate marketing. The lady knows what she’s talking about, and I’ve already seen a dramatic increase in my own affiliate income since taking the course. I highly recommend it. I love affiliate marketing because it’s also largely passive. I will create a blog post once, promote it over and over (I do that on autopilot, too! I share how in the next section), and make money from it month after month. 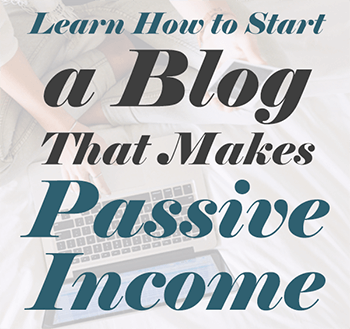 With nearly 100 blog posts and a free email course (Art Sales on Auto Pilot) with affiliate links, I’m sure you can see how this income adds up. The last way I’m Going to Take 2 Months off in 2018 is by planning for it. I mentioned at the beginning of this post that I already have the first 6 months of content planned out. That includes things like: new products and launches, blog posts, my email newsletters, social media posts (Instagram, Pinterest, and Twitter are my current favorites, but you can also find me on Facebook) and more! Not only do I plan what I’ll be posting, but I schedule my social media in advance, too! I use Tailwind to schedule Pinterest and Instagram. And I use Social Pilot to schedule to Twitter and Facebook. Both of those work perfectly in my business. I love the fact that I’ll be promoting my creative business, whether I’m “working” or not! And that’s all because of schedulers like Tailwind and Social Pilot. So there you have it: exactly how I’m Going to Take 2 Months off in 2018: Passive income for my art and products, affiliate marketing, and by planning for it all in advance. How about you? Do you have your 2018 planned out yet? And are you taking time for yourself? I’d love to hear all about it in the comments below!